Deepavali is just around the corner. 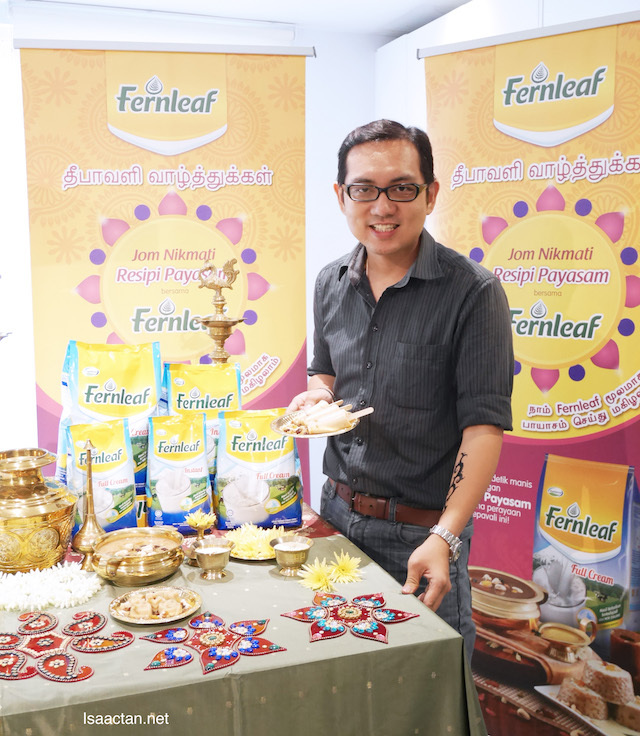 In conjunction with Deepavali, Fernleaf, a brand that has become a household name in Malaysia celebrates the Festival of Lights by recreating the Payasam, an auspicious and delicious Indian dessert rich in milk. Yes you heard that right, Payasam, the delicious milky dessert. Fernleaf had a fun event recently, and it was indeed fun and memorable. Check out what happened that afernoon. I feel so ashamed not to have tried Payasam before this, or maybe I have tried their other varieties but did not know the name. 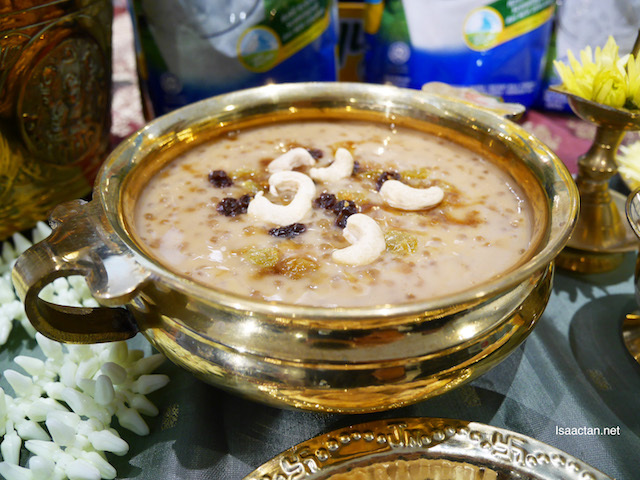 A must-have for all auspicious Indian occassions, Payasam is a classic dessert. Although it is known in various names and is prepared using varied recipes, the main ingredient for Payasam is milk, usually thickened with rice or vermicelli, with ghee added for fragrance and sugar to bring it all together. Interestingly, Payasam in sanskrit means milk. 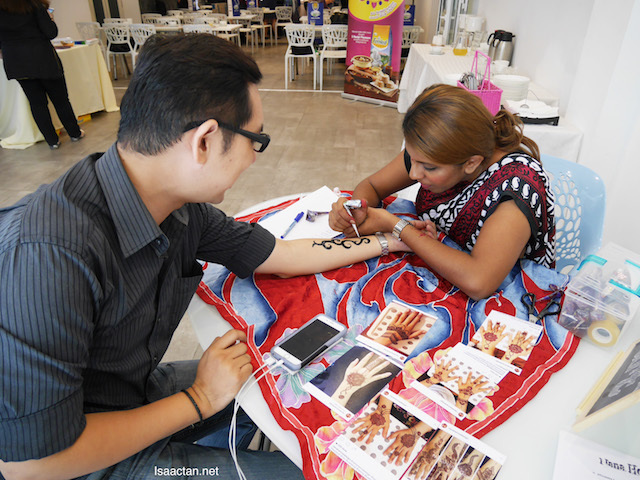 During the event, we were introduced to Chef Annette Isaac, who is of part Indian and part Eurasian heritage. 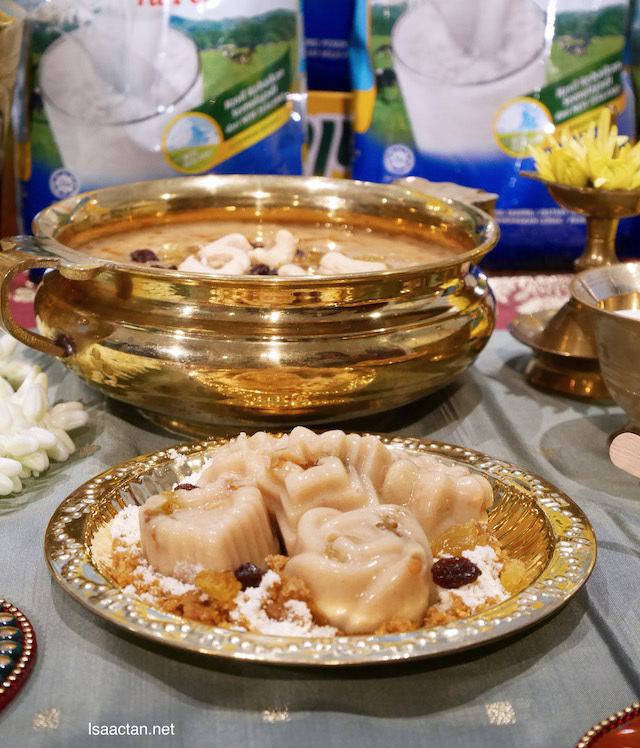 Engaged by Fernleaf, she showcased to us her creations, three wonderful and interesting ways to enjoy Payasam. 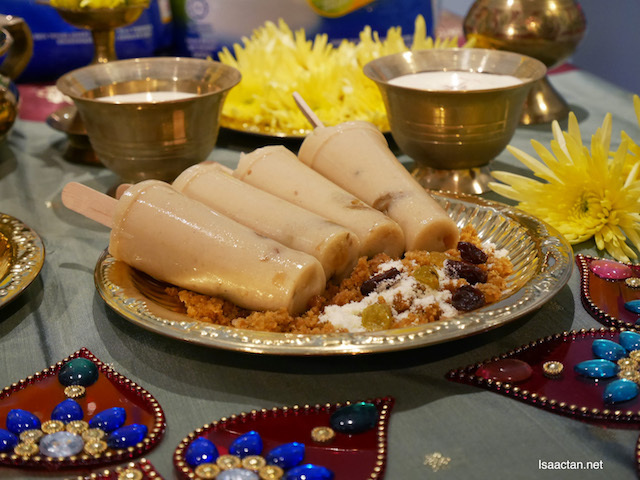 Shown above is my favourite, the Fernleaf Payasam Ice Cream, which Chef Annette Isaac showed us together with the classic Fernleaf Payasam, and Fernleaf Payasam Pudding. The delicious desserts were given an unexpected Malaysian twist with the addition of Gula Melaka, a type of local palm sugar for added depth in flavour. I love Gula Melaka, as it has that distinct local sweetness to it. 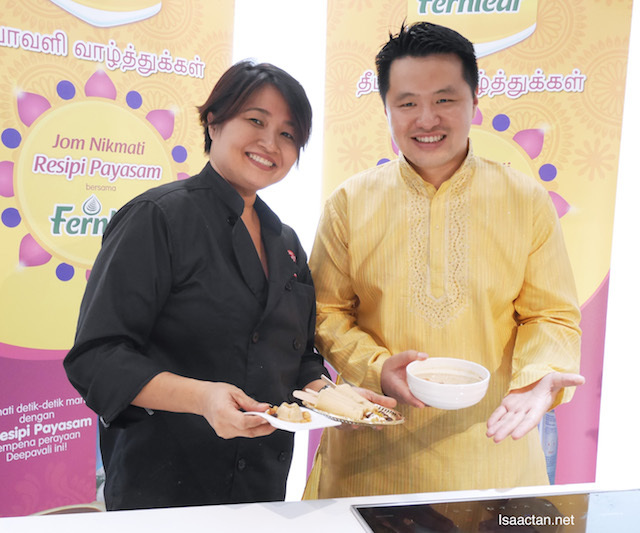 Speaking at the recipe demonstration, Mr Martin Soong, Marketing Manager of Fernleaf at Fonterra Brands Malaysia explained that Fernleaf, a popular brand amongst Malaysians, wanted to celebrate Deepavali with its consumers by sharing the delightful recipe ideas. “Deepavali which is around the corner is an auspicious time to share laughter, blessings and good food with friends and family. For those who enjoy traditional desserts but are mindful of what they eat, we’ve created ideas that are not only a fun twist to the ordinary, but also healthier with the added nutrition of pure and natural dairy from New Zealand,” said Mr Soong. 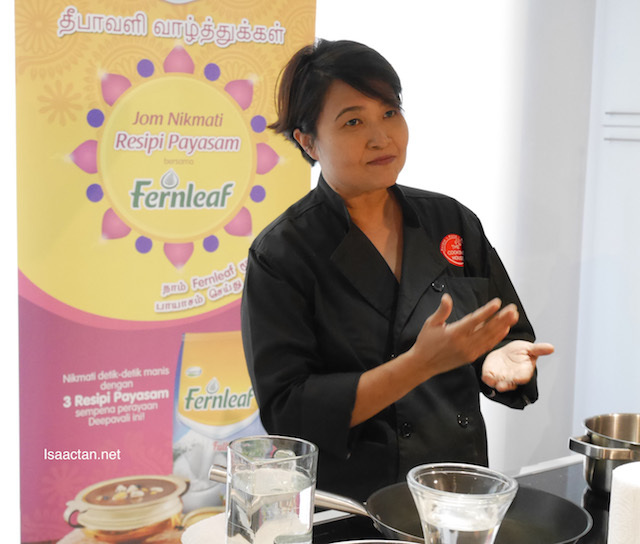 Fernleaf’s Deepavali Cooking Demonstration was held to inspire consumers to rediscover the joys of enjoying Payasam and to find out how versatile and nutritious dairy can be as part of a daily diet. Fernleaf will be sharing the delightful recipes through their TV, print and radio advertisements. Fernleaf Full Cream Milk Powder is formulated to support your family’s active lifestyle and it has two variations - Fernleaf Full Cream Regular available in 1.8KG (RRP RM53.45), 900g (RRP RM27.80) and 550g (RRP RM17.50) and Fernleaf Instant available in 1.1KG (RRP RM 31.00) and 550g (RRP RM 16.50) in most leading supermarkets. Have you tried them out yet? I have drink Fernleaf for more 20 years and I still drinking it. I love how Fernleaf create some wonderful dishes using Fernleaf. Yummy yummy food <3 Haven't tried this before! The Payasam Pudding looks so delicious , must try. Never know payasam as well, and their food looks really tempting! Wish I can try it out! wow, i nvr knew Fernleaf milk powder can make such delicious dishes... i would like to try out the ice-cream one day. thanks for the info! Fernleaf Payasam Ice Cream looks yummy. I want to try it out for my children to eat it too. Never had payasam before! Reminds me of a jelly ice cream potong haha. Would love to try it some day! I didn't know it's called Payasam. Now I do. 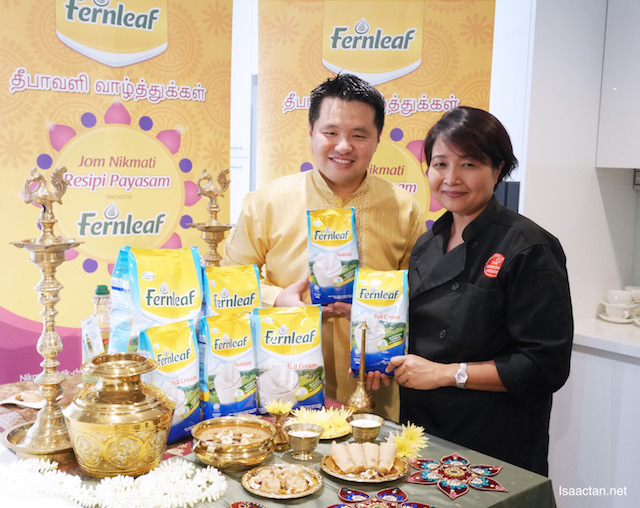 Never crossed my mind to use Fernleaf milk to bake. Now I plan to try. wow...yummy food!!! !Happy Deepavali to all!! Is that an ice cream? I never try the Payasam before too! I have not tried any of those food before. Going to kira-kira with my best-friend now (indian) how come never feed me. Such a lovely deepavali celebration with fernleaf.. Happy long weekend for the kiddos.. xtra school holiday, so nice!